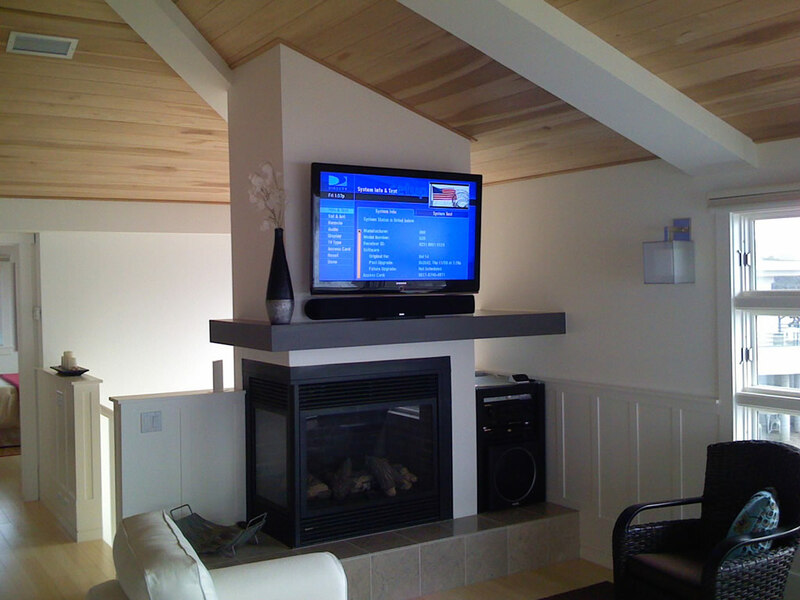 We wired this home while in the building phase and then installed three rooms of A/V when it was completed, as well as installing the Directv satellite and Charter Cable modem and wifi system. The owner wanted a simple to use and basic performance A/V system. 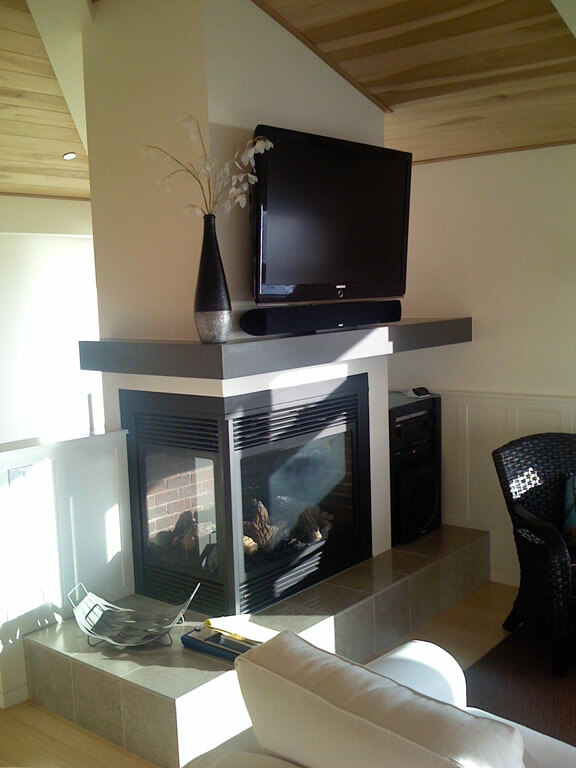 For the living room, they wanted the TV above the fireplace and the equipment located in a cabinet to the right. We installed a Samsung LCD TV, Polk sound-bar and sub-woofer, Sonance rear speakers as well as a full Marantz surround system. Everything was controlled by an RTI touch-screen remote and system processor. 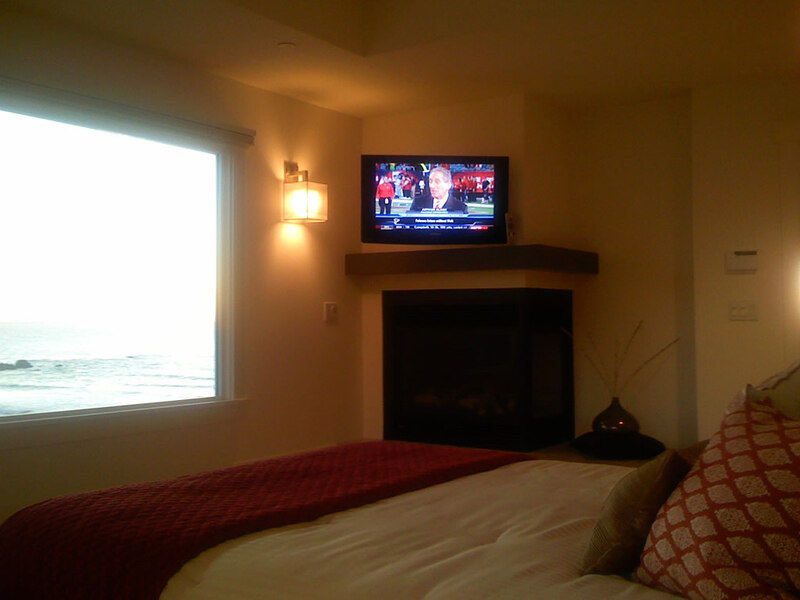 In the master bedroom, we installed a Samsung LCD TV on an articulating arm pullout and put the satellite in the LR rack. In the game room we installed a Samsung 55″ LCD TV.